This is a 16 acre site which is accessible for all to use. It has sports pitches and a Sports Pavilion, which was constructed in 2017, that provides great facilities for Cam's local sports teams. The play wall and ball court were installed in 2009 and further play equipment has since been provided. The play areas include equipment for all ages from toddlers to teenagers and beyond. Cam Parish Council believe that our local open spaces should be open and accessible to all regardless of age and ability. The Outdoor gym has been extremely well received with regular use of all ages. 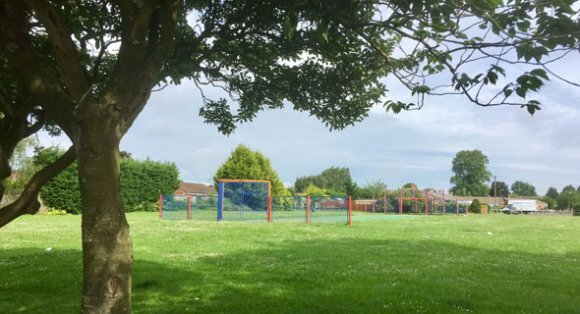 It is situated at the rear of Jubilee Playing Fields to encourage use from all (the equipment is suitable for anyone over the age of 8 years old). The main gym area is made up of 8 pieces of equipment designed to exercise all parts of the body safely in the outdoor environment. Newer pieces of equipment designed to exercise the body core and arms were added along the perimeter path in 2016. The perimeter path is a 850m tarmac path which is well used by dog walkers, joggers, wheelchair users and children learning to ride their bikes as an informal 'exercise circuit' with magnificent views. The Skatepark is one of the best in the county and attracts skaters, boarders, BMXers and scooter users from a wide area. The park was resurfaced in 2017 and has been extended and amended over the years and now includes various jumps and ramps to cater for all abilities. The adjacent Climb Circle was installed in 2008 with the help of a National Lottery grant. It is approx 3 metres tall and provides a chance to broaden your climbing skills. 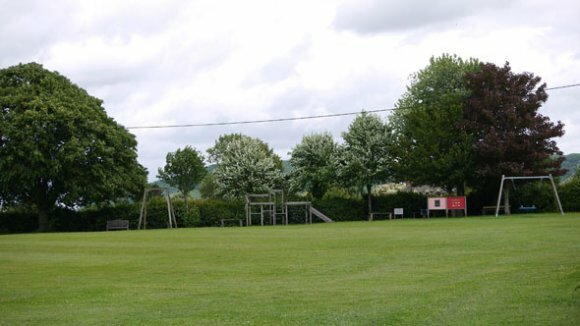 New features and improvement are planned for Jubilee Playing Fields. A new sustainable drainage system is to be created in 2017 to prevent the sports pitches from flooding and provide protection against localised flooding to surrounding houses. It will also increase the aesthetics and bio diversity of the area. Cam Parish Council is also conducting a Play Review to discover what parishioners of Cam would like to see at Jubilee Playing Fields. If you would like your say please get in touch. Contact details can be found at the top of the page. In 2013, The Jubilee Fields won an inclusion award for Play. The field was dedicated as a Queen Elizabeth II field in 2012 to celebrate the Diamond Jubilee. This was aimed to protect outdoor recreational spaces across the UK to create a grassroots legacy from the momentous events of 2012: Her Majesty's Diamond Jubilee and the Olympic and Paralympic Games. After a successful bid under the governments Playbuilder programme to refurbish and extend the play area at Hadley Road, the new park saw its official opening on the 14th July 2010. The equipment includes a giro spiral, pod swing, supernova, multiplay unit and embankment slide. The original play equipment has been incorporated into the new area with the removal of the fencing surrounding it. There is also ample play space, a basket ball area with 2 hoops and a suitable football area with 2 goals. We have provided benches and other seating areas and is well worth a visit! This play area was updated with a variety of new equipment in 2008, with a pod swing added more recently. It includes a selection of equipment for children from pre-school to around 12 years of age including a swing, multi activity unit, spring rockers and interactive panels. There is a very good size field to run around in and has football goals available for all to use.